One of the most fascinating ‘what if?’ scenarios in wrestling surrounds the demise of WCW and the purported large scale pay-per-view that was hailed to occur on May 6th, 2001 advertised as WCW Big Bang: The Creation Of The New WCW. With WCW now under the ownership of Vince McMahon, who would be running the show, what does the ‘New WCW’ mean, and what did this imply for the long term future of the company? We find those answers and more. An advertisement featured on the back cover of the April 2001 edition of ‘WCW The Magazine’ promoting The Big Bang pay-per-view, an event that never came to fruition. The sale of World Championship Wrestling to Vince McMahon in March of 2001 sent shockwaves throughout the wrestling industry and it’s fanbase. After nearly a 6-year battle, the hotly contested Monday Night War was over and WCW was absorbed into the then WWF corporate umbrella. While the WCW product had been suffering a slow death for several years for a variety of reasons, they still had a loyal following. They had a fanbase that wanted an alternative to Vince McMahon’s show on Mondays. One of the most fascinating ‘what if?’ scenarios surrounding the demise of WCW came in the April 2001 issue of ‘WCW The Magazine’. More specifically, on the back cover, as an advertisement was featured for a large scale pay per view coming on May 6th, 2001. It was billed as “WCW Big Bang: The Creation Of The New WCW”. It had fan’s interest piqued, to say the least, as people wondered what the ‘New WCW’ could mean, who would be running the show, and what did this mean for the long term future of the company?. For those answers, we go back to late 2000 and the Turner Broadcasting System. Ted Turner’s “Turner Broadcasting System” featured CNN, TBS, and TNT, in addition to other properties as well. In 1996 Turner merged his company with Time Warner, during which time he stayed on as Vice Chairman and head of the Cable Networks Division. 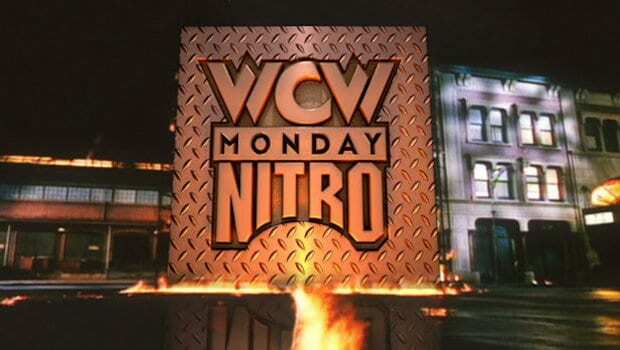 WCW was featured prominently on the Turner Networks with Monday Nitro on TNT and Thunder on TBS. From 1996 until the spring of 1998, under the leadership of Executive Producer and eventual President Eric Bischoff, WCW was on top of the wrestling world when it came to ratings, revenue, excitement, and momentum. As history would later prove however, the Monday Night ratings win streak for WCW would end on April 13, 1998, as Raw beat Nitro for the first time in 84 weeks. For the remainder of 1998, WCW and WWF traded ratings victories, however, the avantage was shifting quickly to the WWF. This was the beginning of the end for World Championship Wrestling. The decline and slow death of the company was well underway, and although WCW had been bleeding money since around 1998, Ted Turner had always resisted the idea of selling the company. Now, on the verge of hemorrhaging millions of dollars yet again, Turner was ready to listen. In late 2000, then-Vice President of Turner Entertainment Brad Siegel, informed Eric Bischoff he could begin shopping WCW to potential buyers. WCW Big Bang was to be the first pay-per-view under new WCW management and likely would have been held at the newly built 3,000-square-foot Hard Rock Cafe arena in Las Vegas, Nevada. In a 2016 WWE interview, Bischoff referred to the process of shopping WCW as a “Wall St. dog and pony show.” Shortly after that, Bischoff found a couple of interested investors in Brian Bedol and Steve Greenberg of Fusient Media Ventures. Bedol and Greenberg’s claim to fame was founding the ‘Classic Sports Network’ in 1995, which was later sold to ESPN in 1997 for $175 million dollars and rebranded ‘ESPN Classics’. Bischoff and Fusient Media Ventures were able to raise $67 million dollars towards the purchase of WCW in late 2000. One potential snag came up as Brad Siegel informed Eric Bischoff that the sale was contingent upon TBS retaining a minority ownership of WCW and a 10-year agreement to air the shows on TBS. Bischoff had attempted to kick tires on a few other potential TV deals (including the FX network) in the meantime but was unsuccessful. Although Bischoff and Fusient couldn’t find an alternative network to air WCW programming, they had grand designs on heading out west to set up shop. In that same WWE piece from 2016, former WCW Creative and Production team member John Laurinaitis said, “The plan was that WCW would move to Las Vegas and do weekly tapings out of the Hard Rock Cafe, which was building a 3,000-square-foot arena at that time.” Laurinaitis would later state that part of the company would be based out of Los Angeles. In keeping with the new ‘look and feel’ of WCW, Eric Bischoff contacted a very familiar name in the business, Joey Styles. 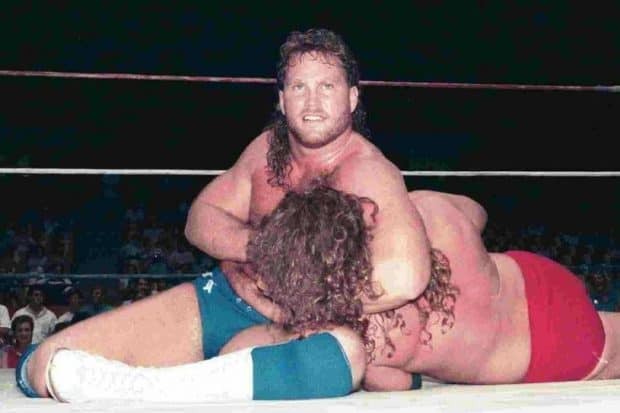 As a play-by-play man, Styles had been the voice of ECW for years and had no desire to leave. 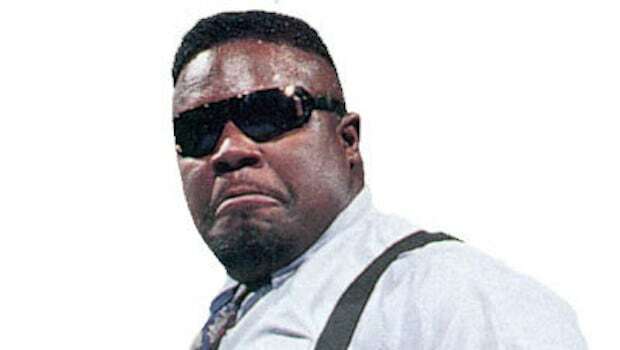 That all changed, however, in January of 2001 when ECW ran its last pay-per-view, ‘Guilty As Charged’. Discussions even went as far as deciding who Styles would be sharing the broadcast booth with. Here’s where the story takes a turn. While Bischoff and Fusient Media Ventures were working to secure funding to purchse WCW, a business deal to merge AOL and Time Warner/Turner Broadcasting was coming down the pipe. The Federal Trade Commission cleared the deal on December 14, 2000, and gave it’s final approval on January 11, 2001. AOL and Time Warner were now one and the same, and one of their shared properties was WCW. Around the time of the AOL/TimeWarner merger, Bischoff and Fusient Media carried on business as usual, and even went as far as to hold a press conference to announce their pending acquisition of WCW. As far as the wrestling world knew, WCW was soon going to be owned by Eric Bischoff and his partners at Fusient Media Ventures. WCW had lost between 60-80 million dollars in the year 2000. After the merger between AOL and Time Warner in January 2001, an executive named Jamie Kellner became Chairman and CEO of Turner Broadcasting Systems. He soon decided that in addition to the massive financial loss, WCW did not fit into the new style and direction of the network, and gave them a deadline of March 26th, 2001 to cease production. Facing extinction, WCW needed a hailmary in the form of new ownership in order to survive, and the Bischoff/Fusient Media deal seemed inevitable. However, without a TV deal, WCW was now basically worthless to any potential investors. It was around this time that Eric Bischoff answered his cell phone while on a beach vacation. The call was from one of his partners at Fusient Media Ventures informing him that without a TV deal, they were backing out of their financial commitment to purchase WCW due to the extreme drop in value. Bischoff was shocked and crushed. “For those of you in the arena and all of you watching around the country this evening, I would very much would have chosen to be there tonight in person as I could be but given everything that’s going on tonight, that’s just not possible. 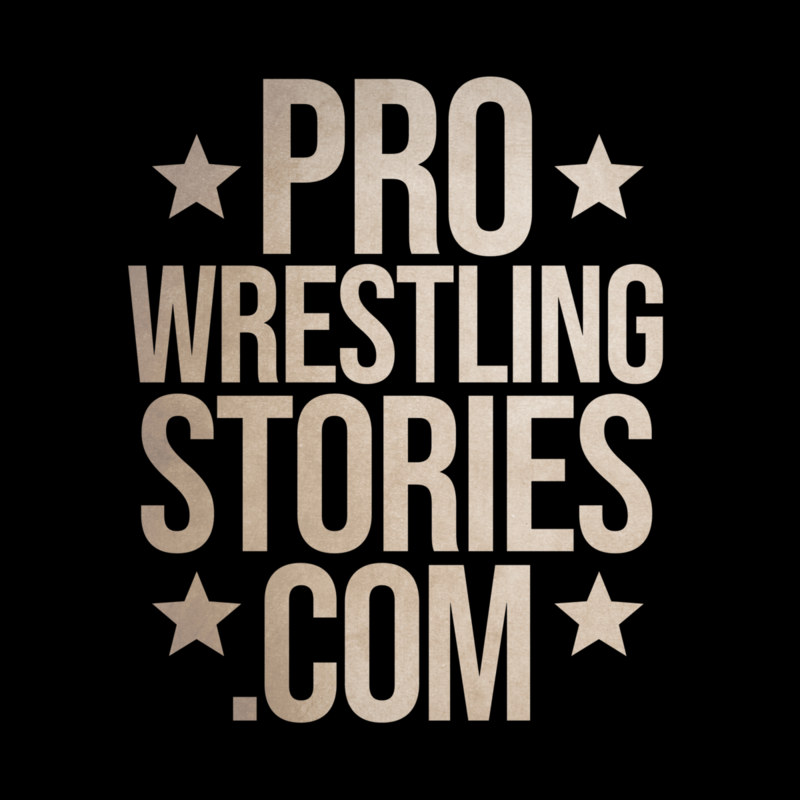 Many of you may know that for the past six months I’ve been working with a group of people whose goal was – and is – to acquire World Championship Wrestling and to grow it once again to becoming a competitive, dominant wrestling organization worldwide. Vince had quietly been exploring a purchase of WCW for some time. One of the hold ups was the fact that WCW aired on TBS/TNT, and the WWF had an exclusive television deal with Viacom. Well of course now that AOL/Time Warner had decided they no longer wanted to feature pro wrestling on it’s networks, Nitro and Thunder no longer had a home. Vince McMahon now had nothing but open road ahead of him, and the sale of WCW moved quickly from there. On Friday, March 23, 2001, a press conference was held announcing the sale of WCW to the WWF. The Monday Night War was over, WCW had been defeated an purchased by it’s own competition. Would the WCW Big Bang pay-per-view and the ‘New WCW’ been successful if everything Eric Bischoff planned had come to fruition? Nearly 18 years later, the allure and mystery of the potential ‘WCW Big Bang’ pay-per-view remains one of the most fascinating ‘what if’ scenarios in wrestling history. Not only was it an advertised, promoted PPV that never ended up taking place, it was supposed to be so much more. Eric Bischoff truly wanted to change the direction, look, and feel of WCW moving forward if he was able to purchase the company, He had been writing new creative for top tier wrestlers, planning to move the organization’s homebase to Las Vegas, and tape weekly TV shows in a 3000-seat venue at the Hard Rock Cafe that was being built at the time. 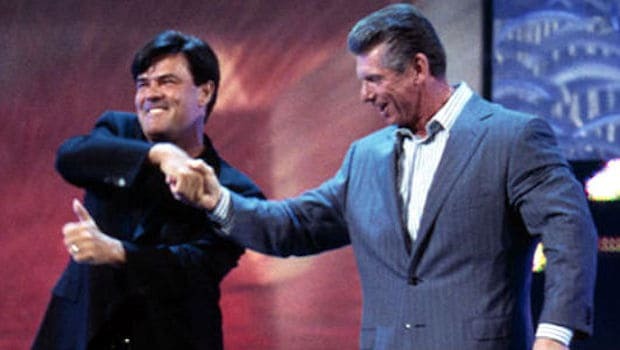 Bischoff hoped to start small, and eventually get back into competition with Vince McMahon and the WWF. 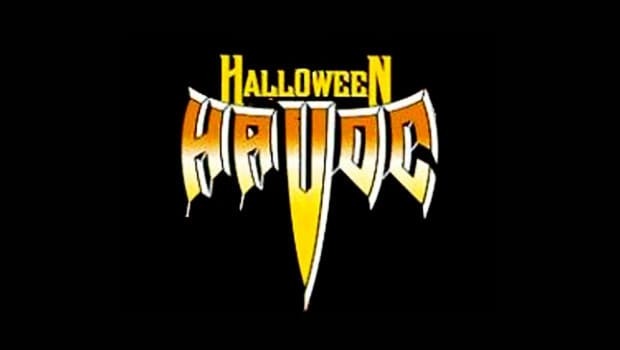 Skeptics will say however, that with WCW’s track record since 1998/1999, this may have been just another reboot that failed shortly after it began. Fans had already witnessed Bischoff play a large role in WCW’s steep decline. 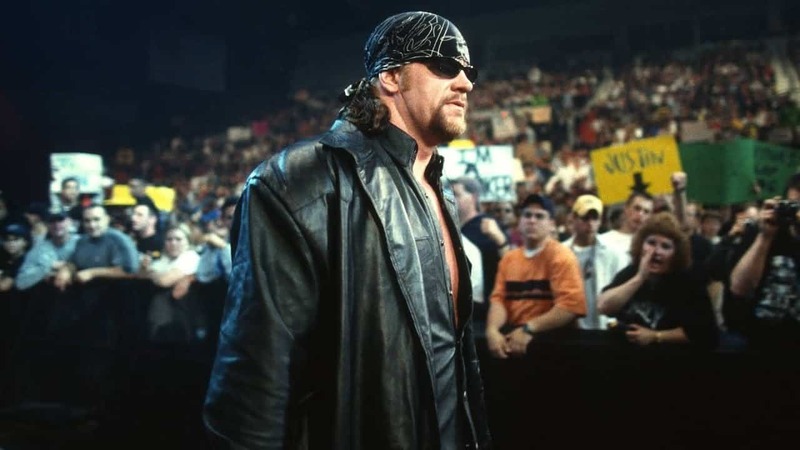 He gave out insanely rich contracts and creative control to wrestlers past their prime, failed to build new talent to stabilize the company for the future, and was sent home in 1999. After this, fans watched many failed experiments, such as relaunching the nWo in December 1999 as ‘nWo 2000’, the ‘New Blood’ vs the ‘Millionaires Club’ in spring of 2000, Vince Russo and David Arquette each having a run as WCW Champion, on and on it went. While we will never know what might have happened at WCW Big Bang on May 6th, 2001 and beyond, it’s always fun to look back at the possibilities of what might have been. Under new ownership, with a new TV deal, a better corporate structure, and dedication to building from the ground up, this truly could have been “The creation of the new WCW” as it was billled. At the very least, it would’ve continued to give fans an alternative to the WWF. Cory Scullion is a contributor to Pro Wrestling Stories as well as a YouTuber. Check out Cory’s channel EightySix Wrestling. Comments? Questions? Feedback? You can find him on Twitter @Cory_S86 or by e-mail at Cory.86@live.ca. The Yeti in WCW - What Was That All About?